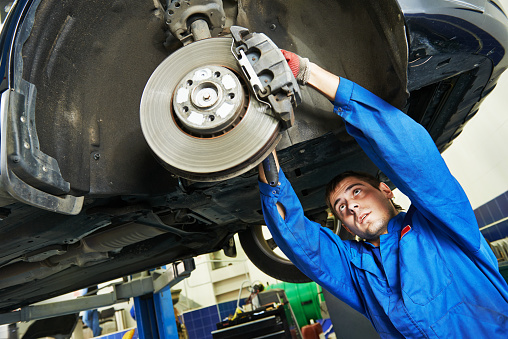 In search of auto repair near Santa Ana? Buddy’s Auto Repair is nearby in Garden Grove, and ready to provide that top-notch car repair you’ve been looking for. Our auto repair shop has been in business for over 40 years, and we have a specialist in each vehicle make and model that we service. All of our technicians are ASE Certified, so rest assured that you’re getting the best service and car repair when you choose Buddy’s Auto Repair for your auto repair near Santa Ana. Not only do we provide excellent repairs, but all our parts and labor come with a 2 year/24,000-mile nationwide warranty. This means if your vehicle is broken down on a road trip, visit any Napa Auto Care Center and if its due to the same problem within the 2 year/24,000-mile window, you’re covered! Check out this review from one of our customers, Gerald M. 5-Stars. “I have been going to Buddy since he worked at a service station at Karelia and Euclid. There is not a more honest person anywhere. I live over 80 miles from his current location and I still go to him. It’s been 44 years since I first went to Buddy and to this day there is no one I trust more than Buddy to work on my car. He is terrific”. When was the last time you received a quality oil change? Come see us for your next oil change and we will include a complimentary 40-point safety inspection of your vehicle. Whether your vehicle has a check engine light on, needs an A/C recharge, an engine rebuild, brake repair, transmission repair, fuel injection, smog repairs, a new battery, or any other sort of maintenance, we can help! We repair all vehicle makes and models, both foreign and domestic. Give us a call to schedule your appointment today for your next car repair. Or, simply request an appointment online by clicking here. Our service team looks forward to seeing you soon!